Seminole Feed began as primarily an equine feed company in 1934. Although the beginnings were small, the Seminole Feed founders had big dreams and a commitment to bringing excellent service and expertise to customers in the areas of feed, seed, fertilizer and other agriculture products. Seminole Feed has since expanded into the pet food arena, offering nutritious pet foods with the same quality standards as its equine line. 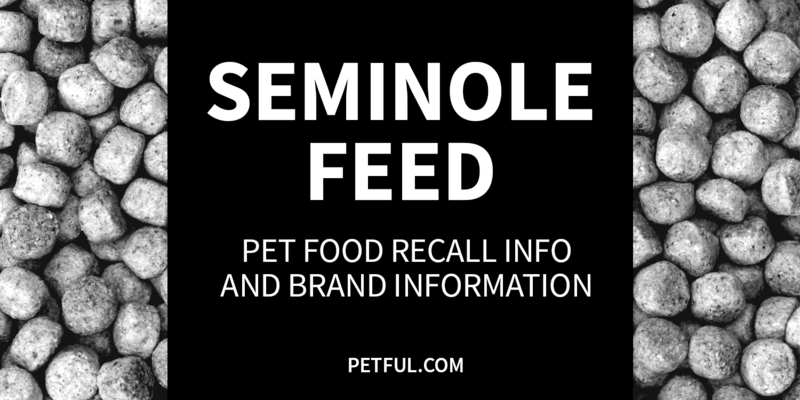 Has Seminole Feed Ever Been Recalled? Have You Had a Problem With Seminole Feed?